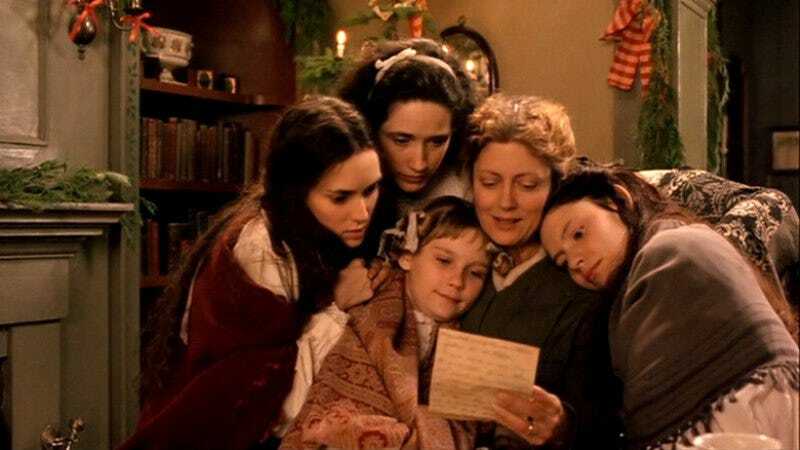 Although there’s a new version of Jane Austen’s Pride And Prejudice popping up just about every month, Little Women—Louisa May Alcott’s slightly more moralistic female-centric literary classic—has been largely ignored by Hollywood in recent years. There hasn’t been a big screen version since Winona Ryder took on the role of Jo March back in 1994, and before that not since 1949 and 1933, respectively. But according to The Wrap, Sony is about to change all that with a new Little Women adaptation written by Oscar-nominated screenwriter Sarah Polley (Take This Waltz, Away From Her, Stories We Tell). As far as we can tell, Polley’s adaptation looks to be a period drama rather than any kind of reimagining or reworking of the source material. The novel follows the four March sisters as they come of age during the Civil War, guided by their mother, whom they call “Marmee” for no discernible reason. Tomboy/writer Jo is usually billed as the lead, although the book splits its time pretty equally between romantic dreamer Meg, spoiled youngest child Amy, and Beth the boring one. So far, Sony has lined up an all-female production team for the project. In addition to Polley, the studio has brought on Denise Di Novi, Robin Swicord, and former Sony executive Amy Pascal to produce the film. No director has signed on yet, although it’s possible Polley could join in that capacity after the script is finished as she usually directs her own projects. Given how beloved the novel is, there will be a lot of attention paid to casting Marmee, the sisters and their various love interests (the 1994 film helped launch both Kirsten Dunst and Christian Bale into stardom). Hopefully someone from Girls gets a role, if only so we can use the “Girls become Little Women” headline we just thought of.